↑ Hanaoka N, Matsutani M, Kawabata H, et al. (December 2009). "Diagnostic assay for Rickettsia japonica". Emerging Infect. Dis. 15 (12): 1994–7. doi:10.3201/eid1512.090252. PMC 3044520 . PMID 19961684. ↑ Uchida T, Uchiyama T, Kumano K, Walker DH (April 1992). 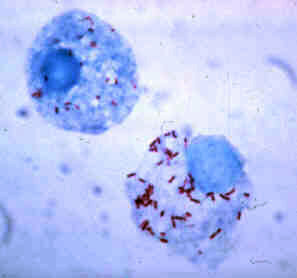 "Rickettsia japonica sp. nov., the etiological agent of spotted fever group rickettsiosis in Japan". Int. J. Syst. Bacteriol. 42 (2): 303–5. doi:10.1099/00207713-42-2-303. PMID 1581190. ↑ Dong X, El Karkouri K, Robert C, Raoult D, Fournier PE (December 2012). "Genomic analysis of Rickettsia japonica strain YHT". J. Bacteriol. 194 (24): 6992. doi:10.1128/JB.01928-12. PMC 3510609 . PMID 23209240.